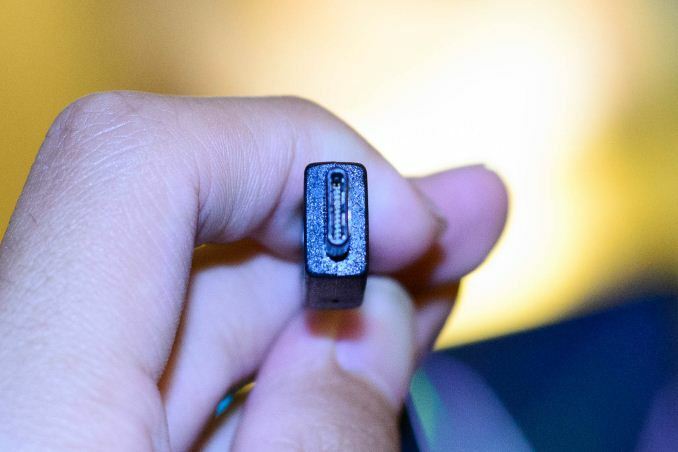 The last while has been a busy time for the USB 3.0 Promoters Group, with the new USB 3.1 Type-C Connector detailed last month. Joshua was able to get a hands on with the new connector at IDF last week. With support for up to 10 Gbps, a new reversible Type-C connector, and up to 100 watts of power delivery, the USB group is trying to expand the already universal connector to be able to do much more than is possible with the current specification. To fulfill this mandate, they have now finalized the USB Power Delivery v2.0 spec, and the Billboard Device Class v1.0 spec. When USB was first introduced, the thought was that it would be primarily a data interface, with a limited amount of power delivery which was generally used to power the electronics of certain devices. The initial specification for USB only had provisions for 0.75 watts of power – 150 mA at 5 V. USB 2.0 bumped that to 500 mA, or 2.5 watts, and USB 3.0 specified 900 mA at 5 V, or 4.5 watts. All of these specifications allow for power as well as data transmission at the same time. In addition, there was also a Battery Charging specification which allows up to 1.5 A at 5 V for a maximum of 7.5 watts of power but with no data transmission available. The jump from 7.5 watts to 100 watts of the new specification is a huge increase, and one that cannot be done with just an amperage increase on the system as was done in the previous versions of USB. Version 3.1 now supports 5 V, 12 V, and 20 V on the pins to allow the higher power output without excessive current, but even the current has been increased to a maximum of 5 A which is much higher than before. USB Power Delivery is designed to increase the flexibility of USB, by providing enough power for many more devices, while at the same time still allowing data delivery. It is also even more flexible, due to a couple of changes. First, the direction of power delivery is no longer fixed. Imagine a tablet with a keyboard attached. The keyboard can have a battery, and the battery can be charged through the data connection, but when the tablet is unplugged from its charger, the power flow can reverse and the tablet can now be powered by the keyboard. Another example is a laptop with six USB ports. The USB ports can be used for peripherals, or, a USB charger can be connected to any port to charge the laptop. Dedicated charging connectors will no longer be required. Another change is that all devices must now negotiate the amount of power required, and that can be renegotiated if another devices requires additional power. A good scenario would be if you have a laptop, and you are charging your phone on one of the USB ports. The phone would be pulling the maximum amount of power it can in order to charge quickly. If you then plug in a USB RAID array, it will need additional power at the start in order to get all of the disks spinning, but then can be lowered to a steady state. The system can lower the power delivery to the phone, provide it to the RAID array, and then move it back to the phone when the power is available. The final key is that the Power Delivery specification is not just for power, nor is it just for USB. The Power Delivery Specification allows Alternate Modes to be defined, and the system can negotiate to enable these modes, enter them, and exit them. These modes will be defined outside the scope of USB-IF specifications using Structured Vendor Defined Messages. 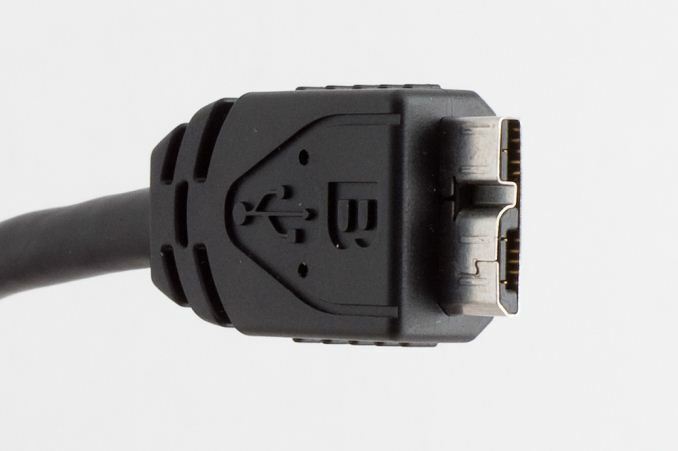 This allows the ability to reconfigure some of the pins a USB Type-C connector exposes and will allow the cable to be used for many different purposes rather than just for USB. This leads us to the second specification – the Billboard Device Class. This specification outlines the methods used to communicate the Alternate Modes supported by the Device Container to a host system. It includes descriptors which can be used to provide support details in a human-readable format. What it does not contain is the methodology to switch to the Alternate Mode – that is done in the Power Delivery specification itself. The Billboard Device Class will allow a device which supports an Alternate Mode to connect to a host which does not support that mode, and then inform the user why it does not work without having silent failures, and for this reason all Billboard Devices must support USB 2.0 as a minimum. This new framework could open the ubiquitous USB cable up to an entirely new array of devices and functions. One possibility that the USB-IF mentions in the specification is a theoretical means for PCI-E over USB. I’ve already given the example of a tablet with a battery in the keyboard, but a laptop could be connected to a monitor which can also charge the laptop. Much more power hungry devices can be connected to a USB port as well, including printers and high speed storage. All of this was defined with a graceful fail as well, so the user is not stuck wondering why his device is not functioning any longer. The new Alternate Modes have quite a potential, and with the increased power capabilities of USB 3.1 and the Power Delivery Specification, it will be very interesting to see how these capabilities are taken advantage of in future devices. Somehow I just can't believe in the 'graceful fail'. I just don't see vendors putting in the effort to clearly identify and define the cause of the error and make it simple for users to understand. In todays USB world, almost all HW works as long as SW drivers are up to it (well, with minor exceptions like 3.5" hdds and some optical drives intended for internal PC). So with USB3.1, the OTG-functionality problem-type is worsened: when buying a device, you will have to check if it's "partner" will be able to power it. A more specific example: you buy a USB-powered monitor which needs 30W, but you laptop can provide only 20W (which both OEMs provide in their specs). But you bougth the laptop 1 year ago, and never "memorized" this (or even think you need this info). While "gratious fail" can speed up debugging (especially for non-savy consumers), I forsee growing rate of product returns. Also these products will most likely be the higher-priced ones. You want to lose even more faith in them? i'm very excited about usb 3.1, the type-c connector and especially power delivery, but i have my worries how the latter will work in reality. let's say i have a small laptop with a 45w PSU and want to drive an external 30w-display with only one cable. i doubt the laptops PSU will be able to drive the display, the laptop itself and maybe charge its battery on top of that all. a more practical scenario would be to do it the other way round: drive the laptop with the power of the display. but then manufacturers have to intentionally oversize display PSUs, just so one might connect a laptop with 30/60/90w. that would mean higher cost and a bigger PSU complete with decreased PSU efficiency when it doesn't run in its optimal range. of course we could also go with different PSUs for the display then. the stock PSU might only power the display and maybe some small storage devices, but we can upgrade the PSU to be able to drive everything up to a gaming laptop off of it. Switching dual-source power supply. One power supply circuit to provide power for the display, another to provide outbound USB power when needed.